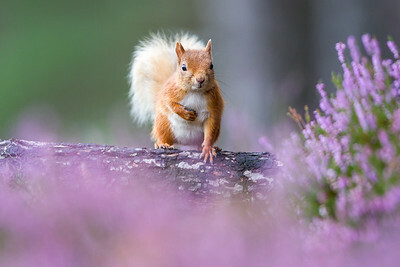 Our series of wildlife photography hides offer a great opportunity to take images of some of Scotland's most charismatic species. Each of our hides are set up for optimum lighting, viewpoint & background set in the beautiful landscapes of the Cairngorms National Park. Please use the contact form for more information and to book. A ground-level hide set on the edge of a pine forest with opportunities for squirrels feeding, running, jumping and climbing trees. Portraits are also possible with attractive heather ground cover. Squirrels are usually most active until early-afternoon. From a comfortable hide set on the edge of the lek, there are opportunities for displaying, fighting and close-up shots of these fantastic birds. 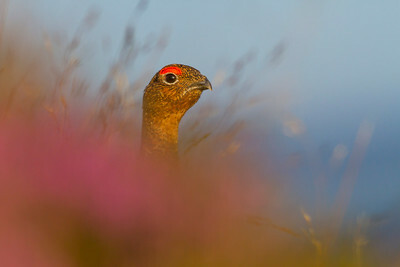 The display area is on short, tussocky grass and heather with unobstructed views of the grouse as they posture and fight. You will be guided to the hide, which involves a 20-minute walk initially along a track and then over rough heather. We will collect you at the end of the session and return you to the meeting point. 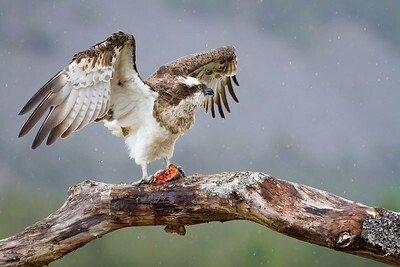 A unique opportunity to photograph one of Scotland's most charismatic raptors using a specially built hide overlooking a natural perch with a clean background. This site is away from the nest so requires no licence. 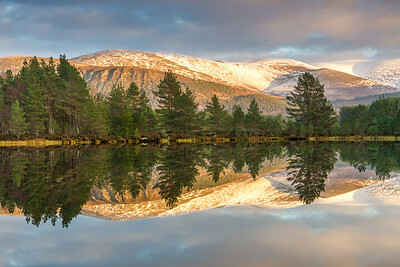 1:1 guiding sessions offer a unique and flexible insight into the beautiful landscapes and fantastic wildlife of the Cairngorms National Park. Having been a guide in this nature rich area since 2013, James can get you in the right place at the right time to get the most out of your time here. Day guiding sessions can be flexible to the guest and equally as important: the weather! Example day guiding sessions are listed below, and depending on the time of year, can be combined into multi-day packages. 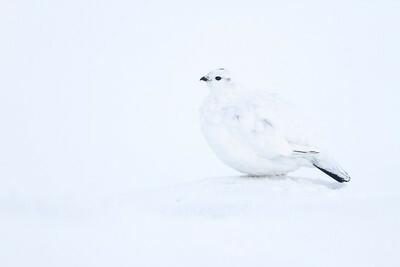 Ptarmigan are a species high on the list of any wildlife photographer visiting the Cairngorms National Park, and understandably so. They are a stunning bird year round but look extra special during the winter months. Masters of disguise, they are mottled in summer blending into their boulder field breeding grounds and moult to an all white plumage in winter to disappear into their arctic like habitat. Unfortunately, there's no getting away from the fact that an uphill hike of around 1.5 to 2 hours is needed to reach these birds in sometimes tricky conditions. Snow can be deep, the wind can be biting and the cold numbing, but the rewards can be unparalleled in the UK. Mountain hare, like the ptarmigan, moult to an all white appearance during the cold winter months in order to avoid the eyes of onlooking predators. These animals are extremely hardy and very charismatic meaning a high variety of images are possible. This population of mountain hares has a variety of different personalities and once we've got eyes on an individual we'll start a slow and measured approach, reading the behavioural signs of the hare as we go in order to get close enough to secure our images. 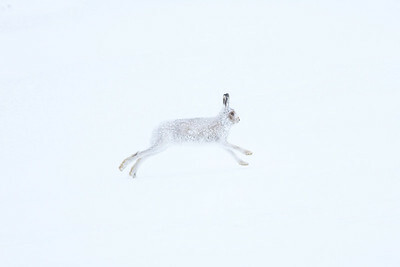 Mountain hares don't require as large an altitudinal climb as for the ptarmigan but you should still have reasonable fitness and be able to walk across uneven terrain. Red deer are one of my favourite species to photograph in the Highlands, particularly in snowfall. 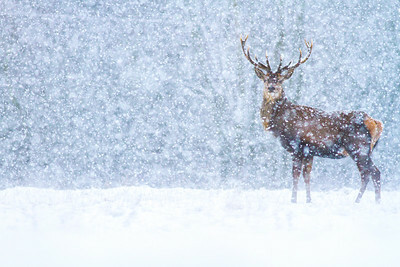 There's something quite magical about the combination of stags and snow. This activity usually lasts half a day as we head out into remote glens and usually photograph from the car. With this in mind, it can be combined with a morning's hide photography or another half day guide. Red grouse are another species that can be photographed from the comfort of the car for a half day activity. 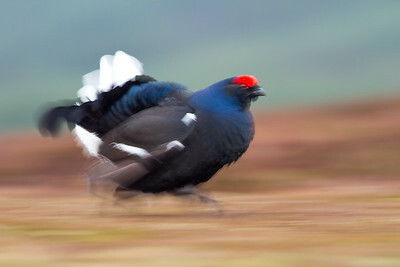 We will explore quiet country roads that intersect heather moorland and use the vehicle as a hide as we hope to find several birds in close proximity. Autumn is a special time of year in the Cairngorms National Park as the birch forests are draped in their golden splendour and mist rises above hidden lochs. Landscape photography is all about knowing where to be and at what time to get the very best out of location and light. A days guiding will aim for the best conditions on the day and will usually start before sunrise and lasting until after sunset. The areas covered can be discussed on a case by case basis and will be somewhat determined by weather and fitness capability. There is always something to capture from easily accessible tracks and well known scenes to more intimate forest interiors and secret waterfalls.